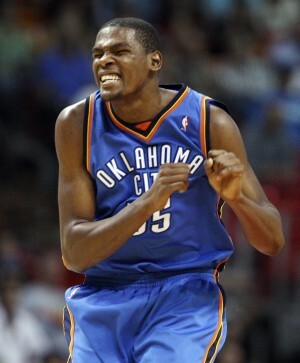 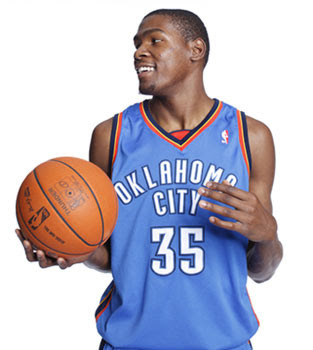 Kevin Wayne Durant (born September 29, 1988) is an American professional basketball player. 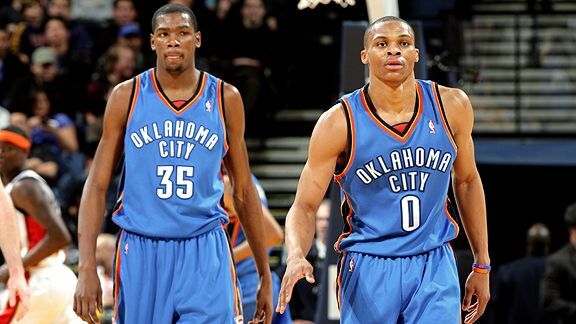 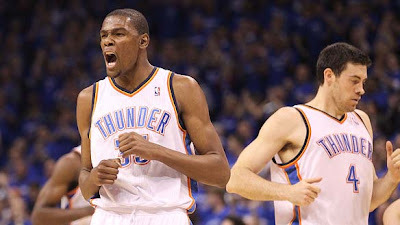 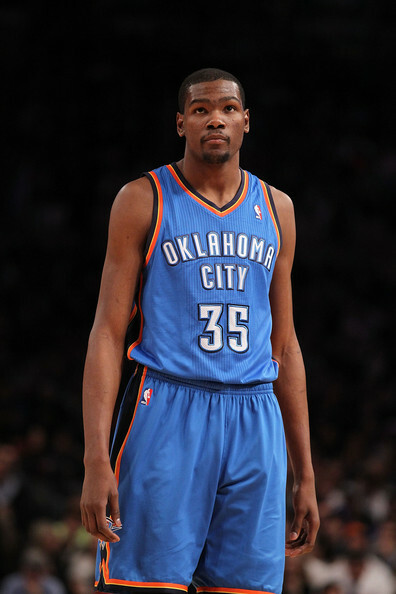 Playing the position of small forward, Durant currently plays with the Oklahoma City Thunder of the National Basketball Association. Standing at 6'9" (235 lbs) and playing the position of small forward, Durant was the consensus 2007 National College Player of the Year and the 2006–2007 Big 12 Player of the Year, amongst other awards. 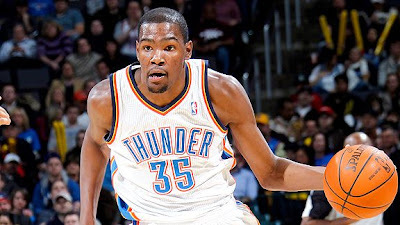 After a standout freshman season at the University of Texas, Durant opted to enter the NBA Draft, where he was selected second overall by the Seattle SuperSonics. 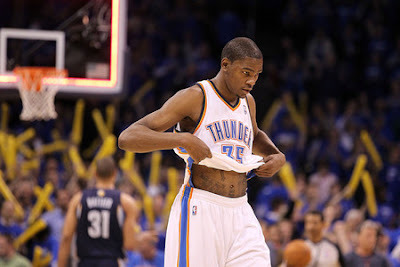 There he went on to win the NBA Rookie of the Year Award after his debut season. 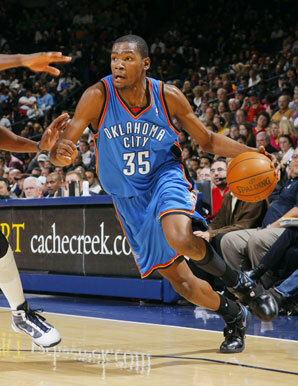 In 2007, Durant signed an endorsement contract with Nike. 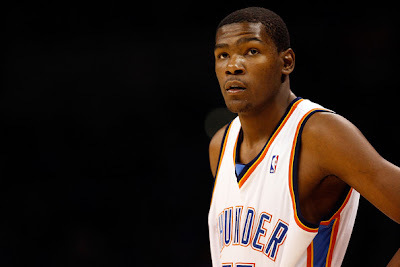 In the 2009–2010 NBA season, Durant led the NBA in scoring and became the youngest player ever to win the NBA scoring title. 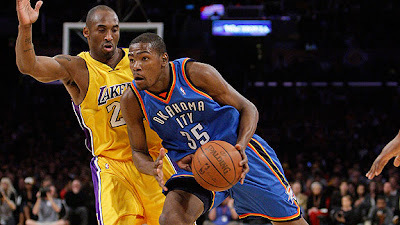 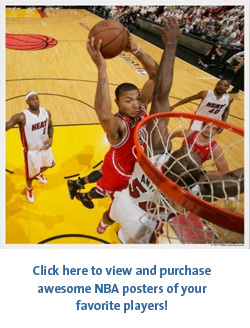 He is a 3-time NBA scoring champion and a 3-time member of the All NBA First Team.